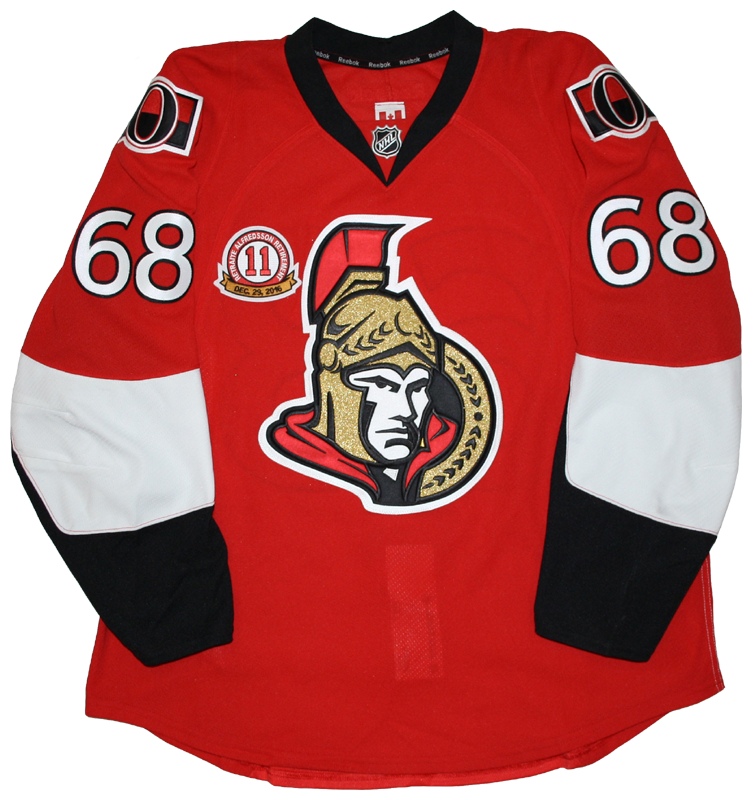 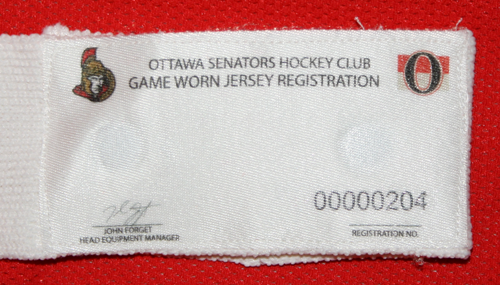 This jersey was worn by Mike Hoffman of the Ottawa Senators on December 29, 2016 during the first period against the Detroit Red Wings. 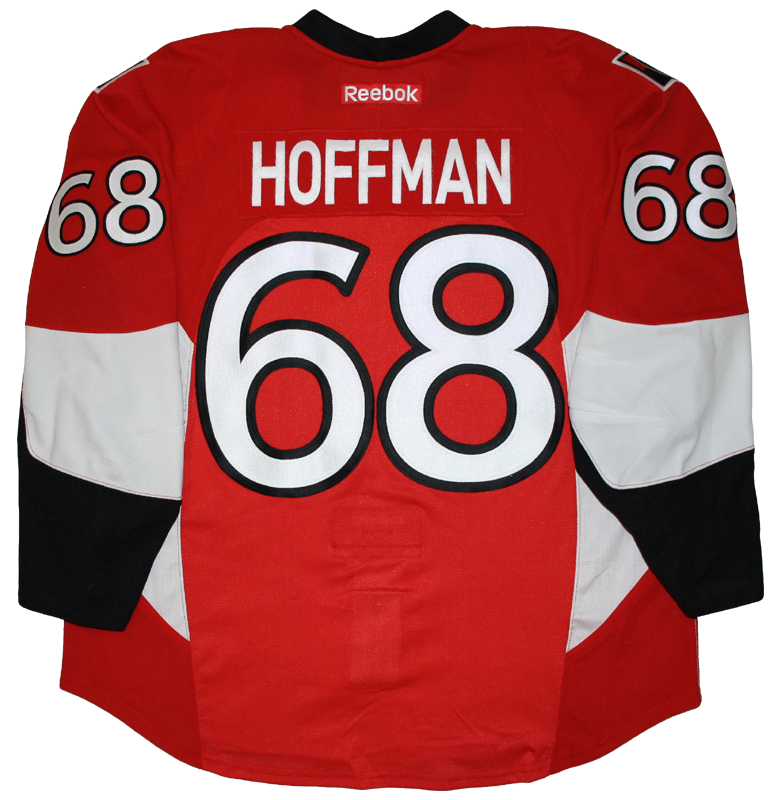 Hoffman assisted on a Derick Brassard goal while wearing this jersey. 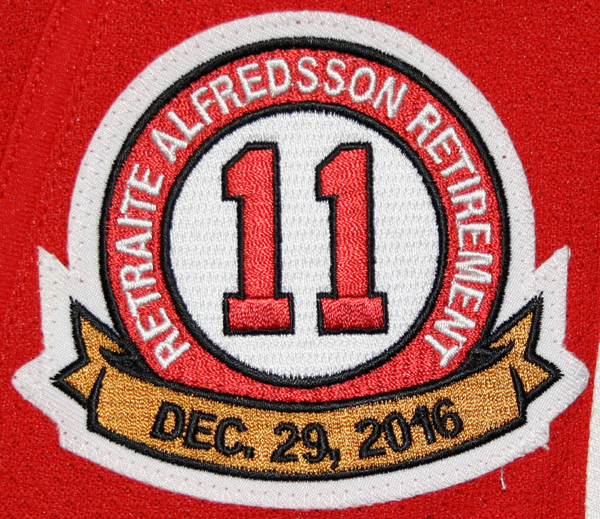 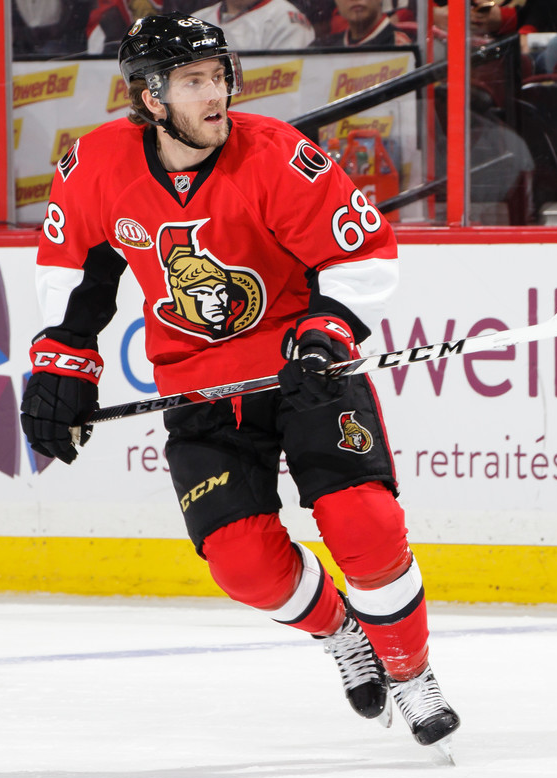 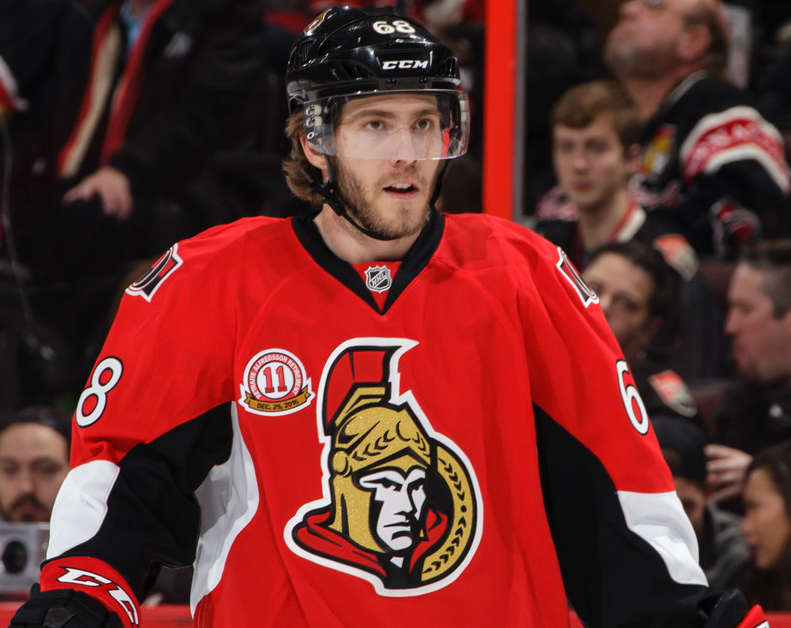 The Senators fell 3-2 in overtime on the night that Daniel Alfredsson had his number retired.